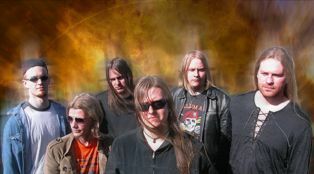 Memorized Dreams is a heavy power metal band from Norway. The band was established in 1999 as a metal project by Kee Jason. He was joined by FRODE HOVD, Ståle Rosø, STIAN RØDSJØ and Hugo Rødsjø, Ståle Rosø and KENNETH SKARSVAAG, and already in the early days you could see hints of the greatness to come. The band went through many incarnations, band members and styles, until the band found it's way back to their metal roots and MEMORIZED DREAMS was born. It all began as a project called SYMPHONICA DIVINE. In the beginning they were mostly playing for fun, doing covers by fellow power metallers like Helloween and Stratovaris, but soon realized that the band had real potential and saw the opportunity to do something more. They then began to write their own songs. Classics like Holy Land and Ancient Sin was some of the first songs to be written, and are still in the set today. The popularity of the band soon grew, and they played more and more live-shows. Their singer at the time, Ståle Rosø, couldn't cope with the amount of work the band was getting into. He didn't want to hold back the band, so he left. He was then replaced by MARIA GARLI, which took the band in a different direction, towards a more progressive rock-like sound. They changed the name to DREAMSCAPE, but then realized that they were not all that happy with the new direction they had taken, so then they started thinking in terms of heavy metal again. - MIRROR OF LIFE". During this recording session, Geir Rosø was asked to join the band as their new lead singer, and Maria was placed, alongside Stian Rosø, behind the keyboards, building the foundation for what was to become the unique, powerful and rich Memorized Dreams-sound. The demo was well-received across the globe, getting great reviews. The band was getting loads of feedback, most notably from Asia, where the popularity of metal is as strong as ever. But it wasn't until DiskHeaven, in Japan, ordered 100 CDs that things started to get serious, and the band themselves started to take thing seriously. It was at this moment they realized that they really had something the metal-world had been craving for. The band then went on searching for a label to release their debut album. In December 2002, the band was contacted by SOUND RIOT RECORDS, being offered a good contract, which would see their upcoming album released worldwide. They were very happy to find a label that showed a lot of enthusiasm and a genuine interest in the band. Most of 2003 went into writing and recording their album, but right in the middle of the writing sessions Geir Rosø left, so singer Terje Harøy was brought in to do the vocals. 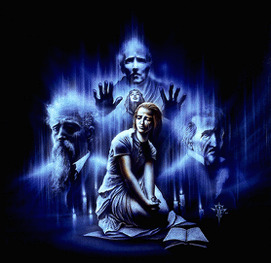 In the beginning of 2004, the album was recorded and ready to be mastered by Tommy Newton (HELLOWEEN, KAMELOT ++) And in May 2004, "MEMORIZED DREAMS - THEATER OF LIFE" was finally released, getting fantastic reviews and became a massive hit in Japan. Also selling very well in other parts of the world, the band soon earned the respect among true power metal fans from all over, and was noted as something to really look out for in the future, being compared to all the great ones of the past. Unfortunately, at the beginning of 2005 the band went into a crisis, and many changes had to be made. They decided that the band deserved to go on, but for various reasons and musical differences, Kee Jason, Olav Skei & Terje Harøy had to leave the band. This opened for many new possibilities, and was a step in the right direction in a genre that requires dedication, hard work and a clear vision. Kee and Olav were soon replaced by the incredible talents of RUBEN LIEN and ROBERT MYRHAUG, and in April 2005 the sinister looking screamer TJ COBRA joined as the band's new lead singer. MEMORIZED DREAMS had now become a true heavy metal force to be reconed with, and was finally the band that the founders always intended it to be. Better, cooler and more dedicated than ever.